Family Leisure develops relationships with the best brands in game tables. We trust the Vortex brand because their tables promise entertainment and longevity, and their tables bring enjoyment to players everywhere. The 5’ Slap Shot Power Air Hockey Table is 5’ in length and entertains multiple players at once. The table comes with pucks and hand paddles so that as soon as the table is set up in your home game room, you can get into the competition. Game rooms become boring and drab when they feature the same low-energy games. 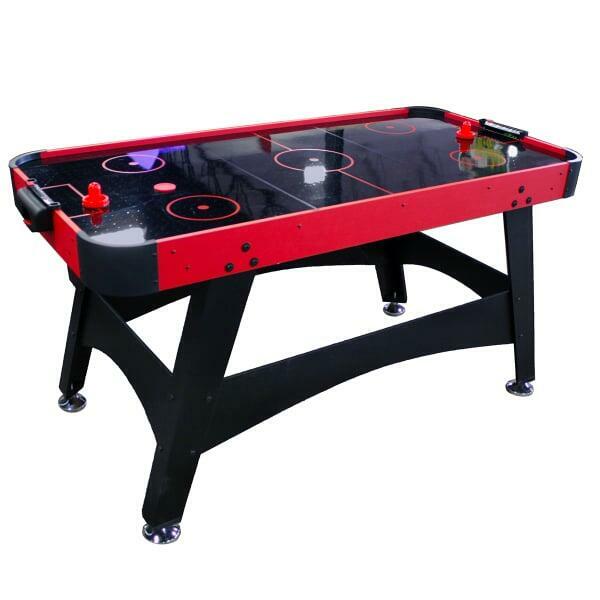 The 5’ Slap Shot Power Air Hockey Table is sure to shake up a game room and entertain guests of all ages.